When you're young, your skin is mostly made up of collagen – about 80%. But skin regenerates itself every 27 days. And when it does, sometimes it has trouble producing as much collagen as you once had. After you turn 25, you start losing collagen at a rate of about 1% per year. This rate will be even higher if your skin is subjected to environmental stressors, such as sunlight, smoking, free radicals, and inflammation. Fortunately, there are ways to not only protect yourself from these stressors, but also slow the rate at which you lose collagen. 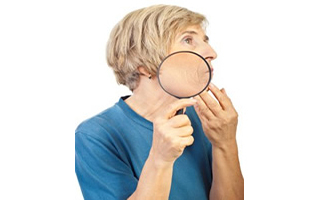 First, here's why it's important to maintain collagen in your skin: collagen decline results in wrinkles, saggy skin, and poor skin tone. Your skin will lack structure and vitality. That, of course, isn't what you want. But vitamin C can help restore your youthful glow. It not only protects your skin from environmental threats, but also boosts collagen synthesis. Topical application of vitamin C is the best means of helping to replenish your aging collagen. And you can see results after several days of application! If you continue to replenish your vitamin C stores every day, you'll see sustained results. 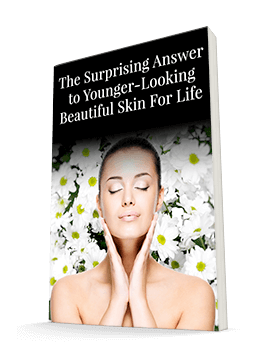 Your skin will look younger and healthier. Note: If you are wanting extra vitamin C, look for a serum that has between 3-10%. Apply the vitamin C serum first. Vitamin C can, in some skin, cause mild dryness or flaking. This is why we combined the vitamin C into the Système 41 Day and Night Cream Moisturizers. Vitamin C is safe to combine with all of your skin care products and works synergistically with other antioxidants. You can make vitamin C even more effective by combining it with concentrated tea extracts, such as green and white tea extracts. You'll find both of these in our Système 41 line. These extracts provide complementary effects to the vitamin C, as they also stimulate collagen production and protect your skin from UV and free radical damage. Old, saggy skin doesn't have to be inevitable. You can defend your healthy glow with topical vitamin C and tea, letting nature continue to stimulate your skin to produce collagen and perform at its best.